It’s a bit of an old cliche to say that ‘things were different back in the old days of F1’, but in the case of top-level/F1 motorsport and, more particularily, the drivers themselves and the people directly involved, nothing could be further from the truth. 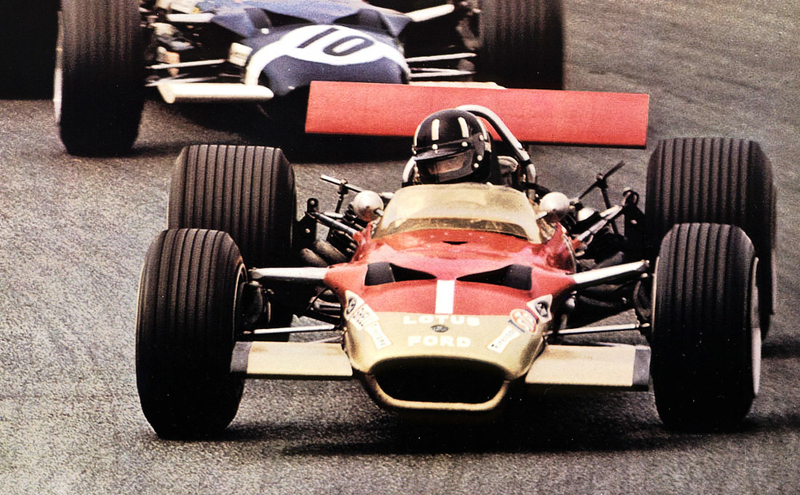 The 1960s (and to some extent, the early ’70s) are often regarded as the golden age of motorsport and Formula One for many unique reasons. Most companies and manufacturers involved at the time were small independents and some survived race-to-race in the hopes of winning some prize money to further their livelihood and passion over the coming season. 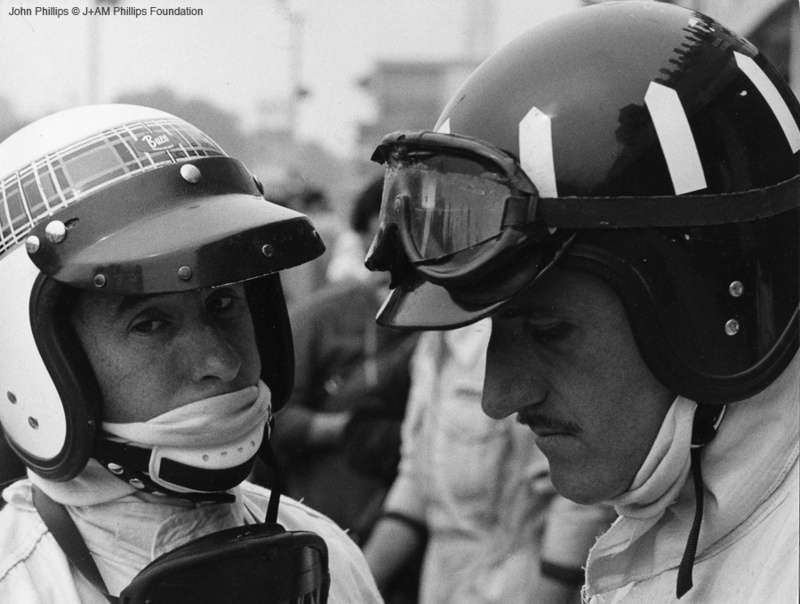 Comraderie between drivers was commonplace – everyone hung out with one another and most drivers became the best of friends. They all shared a common passion that few people could relate to. It was family, pure and simple as that. Families vacationed together, the wives of the drivers and team-owners assisted by time-keeping and keeping various things in line… It was people helping people that also cared about one another. 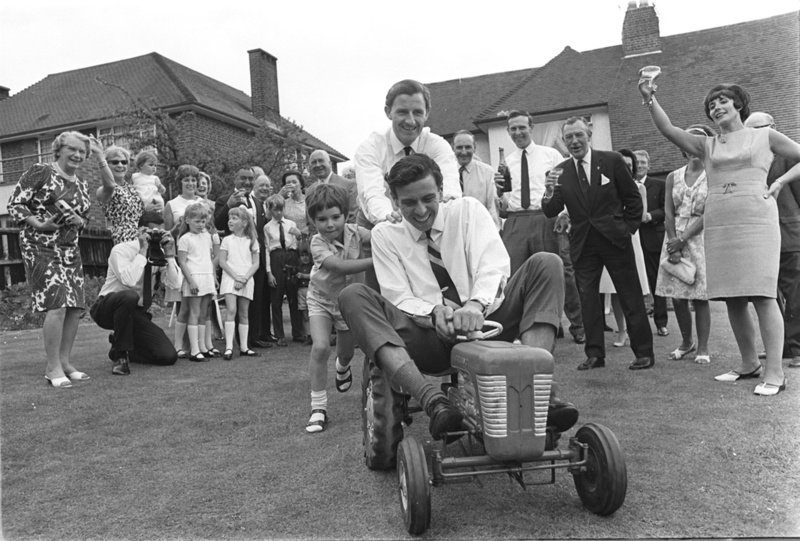 Graham and his son, Damon, playing around with reigning F1 world-champion Jim Clark at his home in ’66. Bette Hill threw Graham a party to celebrate his homecoming from America where he won the Indianapolis 500 in a Ford-Lola. 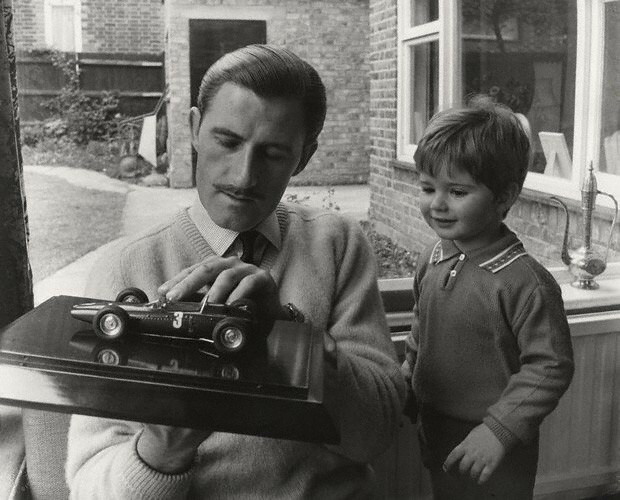 Whether you drove for Ferrari or Tyrrell or Lotus or Brabham, it didn’t matter… You were family. You looked out for one another… and also grieved together whenever there was a loss of life from an accident which, sadly, happened all too often. 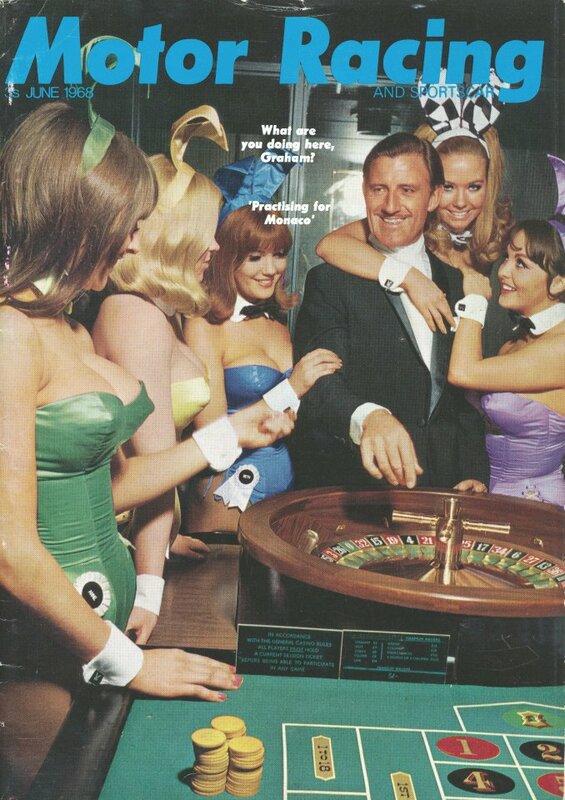 One man from that era of Motorsport that seemed to shine in his own irrefutably unique way though, was Graham Hill. 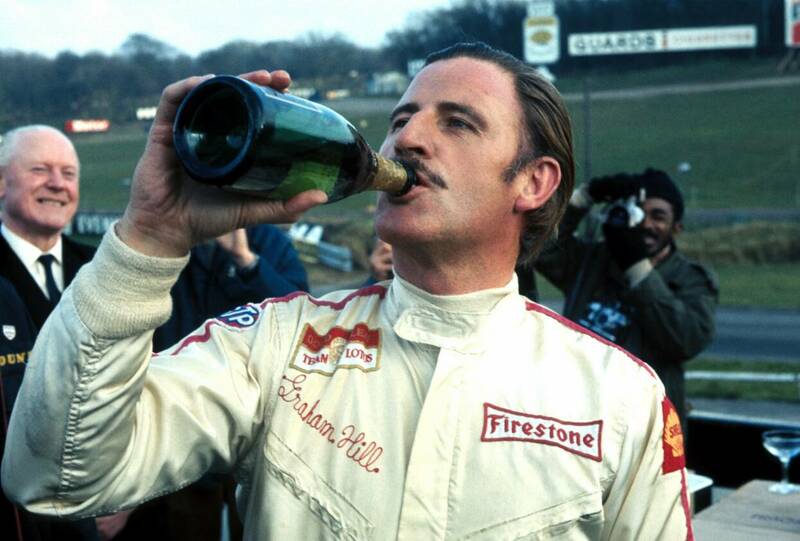 If there ever was a man to be labelled ‘a true gentleman’ of the sport, then Graham would easily claim that designation. He was a charismatic, charming, highly-knowledgeable, caring and incredibly talented driver that won the World Championship twice (in ’62 and ’68) and earned the unofficial title as ‘Mr. Monaco’ after winning that Grand Prix 5 times. Last night I was watching a documentary DVD called ‘Jackie Stewart: The Flying Scot’ and during a section of the interview, Jackie took a moment to talk about Graham, and how Graham was his earliest mentor during his formative F1 years in the early ’60s when Jackie was driving 2nd-string below Graham for the BRM team. What struck me was when Jackie said that in all of his years/decades of racing and being involved in Motorsport, never had he known a more intriguing, intelligent, handsome, witty, talented, ruthlessly skillful (he was also a phenomenal mechanic) and charming personality than Hill. He was one of a kind… And, as they say, they ‘broke the mould’ after Graham was born.